For solutions that must not fail — at the edge of the network, in any industry, in any size organization — everRun is the continuous availability solution you can rely on to meet your ever increasing demands in this always-on world. everRun simplifies the process of making applications available not just some of the time, but all of the time. everRun’s software based solution links two servers together via a virtualization platform that pairs protected virtual machines together to create a single operating environment. The entire application environment, including data in memory, is replicated by everRun, ensuring applications continue to run without interruption or data loss. If one physical machine should fail, the application continues to run on the other physical machine without any interruptions or data loss. If a hardware component fails, everRun substitutes the healthy component from the second system until the failed component is repaired or replaced. Availability protection isn’t limited to threats against the server and storage systems or operating systems. Unplanned downtime can result from localized power failures or building-wide problems. everRun SplitSite’s synchronous data replication across multiple sites ensures if disaster strikes in one location, applications and data are immediately available, up-to-date, and fully operational at another location, without the need for IT staff at the second location. And when the failed site is returned to service, everRun SplitSite automatically resynchronizes all disk drives and virtual machine memory. With everRun® Monitor powered by Sightline Assure® you can extend your availability protection with a single, unified view of the complete everRun stack — from the hardware upon which everRun resides, to the operating systems and software applications running on top of everRun. In addition, it can provide visibility into the status and health of many external devices, such as network components, workstations and edge devices (cameras, controllers, NVRs, etc.) all of which are critical parts of your total solution needed to keep your operating environment running at all times. • everRun automatically mirrors the state of the application environment, including data in memory, insuring applications continue to run without interruption or data loss. • With everRun® Monitor powered by Sightline Assure® you can extend the availability protection to automatically restart a failure application. Sightline can provide visibility into the status and health of any external devices giving a solution to keep your entire environment running. • everRun SplitSite’s synchronous data replication across multiple sites insures if disaster strikes in one location, applications and data are immediately available, up-to-date, and fully operational at the other location without the need for IT staff at the second location. • When a failed site is returned to service, everRun SplitSite will automatically resynchronize the disk drives and virtual machine memory. • Fault tolerant (FT) mode: designed for organizations that need fault protection or need both fault tolerant protection and high availability protection. • High availability (HA) mode: designed for applications that require protection but lack the need for full stateful data protection. • everRun provides continuous availability without any changes to your existing applications or having to manage the connectivity between servers or configuring shared storage. • everRun’s easy to use management console allows you the flexibility to configure the virtual machine, networking and storage configurations to optimize your applications. • everRun supports a wide variety of commodity, Intel-based x86 server hardware allowing you to leverage IT competencies within your organization. • Setup your everRun system with internal or external storage to match the performance and data needs of your applications. • everRun provides the highest level of availability for virtual environments insuring applications are automatically protected from hardware failure with no loss of data, transactions, or connections. • everRun allows organizations to run more applications on one platform resulting in reduced administration overhead on IT staff and infrastructure cost savings. 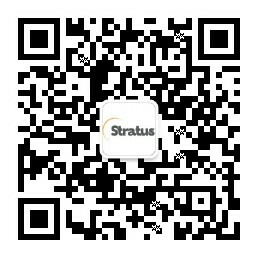 Stratus offers a wide range of services to support your every need. From professional and managed services, 24/7 support and education and training – we’ve got you covered. With everRun® Monitor powered by Sightline Assure® you can extend the availability protection to automatically restart a failure application. Sightline can provide visibility into the status and health of any external devices giving a solution to keep your entire environment running. Disaster recovery is achieved with Arcserve’s DR solution as an add-on to everRun in cases where disaster recovery and data replication are required. Arcserve software extends the core capabilities of everRun to support a disaster recovery capability across a WAN, in conjunction with everRun system redundancy in either or both the primary site and the remote DR site.